This one of a series of Prepaid Phone News' profiles covering the major US mobile operators and MVNOS. Overview: Cricket Communications began as a subsidiary of former regional operator Leap Wireless which operated its own CDMA network in 35 metropolitan areas including Chicago, San Diego, Seattle, Philadelphia, Washington DC and Baltimore. Leap and Cricket were acquired by AT&T Wireless in March of 2014. On May 18, 2014, AT&T combined its AIO Wireless prepaid brand with the assets it acquired from Leap to launch Cricket Wireless as a less expensive alternative to GoPhone. The legacy Leap CDMA network was shut down Sept 15, 2015. Cricket has 9 million subscribers as of March 31, 2018. Technology: Current Cricket phones use AT&T's GSM and LTE network which operates on 850 and 1900 MHz for GSM voice, Edge (2.5G), UTMS (3G) and HSPA+ (4G) with LTE data service on bands 2 (1900 Mhz), 4 (1700 Mhz), 5 (1900 Mhz) 12/17 (700 Mhz) and 29 (700 Mhz) and 30 (2300 Mhz). This profile covers Cricket's new GSM based service which uses the AT&T network. For information about Cricket's former CDMA based service, see Prepaid Operator Profile: Cricket (CDMA). 1 Talk & Text plan only available with Cricket feature phones and BYOP SIMs, not with smartphones sold by Cricket. 2 High-Speed data is throttled to a maximum speed of 8 Mbps for LTE data and 4 Mbps for HSPA+. After the high-speed data cap is reached speed is further throttled to about 128 Kbps. Additional high-speed data is available for $10 for 1GB good for a month. 3 The $55 and both $60 plans include unlimited calls (including to mobile phones) and messaging (including MMS) to Mexico and Canada, as well as Canadian and Mexican voice, text and data roaming. and unlimited international text messaging to 38 additional countries. Mexico and Canada roaming voice, messaging or data use must not exceed 50% of total use in any consecutive three month period. 4 Data is throttled to 3 mbps and video is further throttled to 1.5 mbps. Taxes and Fees: plan prices include all state and local taxes and including sales taxes and e911 fees. Hotspot Fee: Unlimited and Unlimited 2 plan users can pay $10/month to enable hotspot on iPhones and a limited number of Cricket branded Android phones. Hotspot is blocked on other plans and devices although workarounds exist for many non-Cricket devices. Activation Fee: in-store $25, no fee for online activations. Device Upgrade Fee: $25, charged when a customer buys a phone from Cricket, in -store or online. Reactivation Fee: $15 applies to payments 30 and 59 days past your plan due date. After 60 days, account will be canceled and can't be reactivated. Non-Compliant Return Fee: $25 charged for device returns that are damaged or missing their original packaging. Customer Assistance Fee: Making a payment with a customer service representative: $5 ($3 after April 23, 2017). Bridge Pay Fee: Bridge Pay allows users to split their monthly charge into two smaller payments. The customer pays half the plan cost plus the Bridge Pay fee and gets seven days to pay the rest. The Bridge Pay Fee is $5 (increasing to $10 for multi-line accounts only on April 23, 2017). The fifth line gets a $20 discount for a total discount of $70 (a $14 per line saving). Group Save Discounts are only available with plans priced at $40 and higher. Auto Pay can be used with Group Save Plans but they won't receive the $5/month Auto Pay discount. Cricket launched a promotional Group Save plan on Dec. 1, 2017 that will be open for signups for a limited time. The promotion makes two lines of $55 plan available for $80, three lines are $90, four lines $100 and five lines $125. International Calling and Messaging: The $55 and $60 plans include unlimited calls (including to mobile phones) and messaging (including MMS) to Mexico and Canada and unlimited international text messaging to 38 additional countries. A $5/month Cricket International add-on includes unlimited calls to landlines in 36 countries using direct dialing. A $15/month Cricket International Extra add-on adds 1000 minutes of calls to 32 more countries and unlimited international MMS picture messaging to 36 countries. Pay per use international calling and messaging are not available. International Roaming: The $55 and $60 plans include free Canadian and Mexican voice, text and data roaming. High speed data is available up to plan limits. The number of international minutes, texts or MBs data can not exceed 50% per month for three consecutive months or service may be terminated. Coverage: Cricket coverage (map) is on the AT&T native network only. Domestic roaming is not available. Devices: Cricket offers a selection of feature phones, Android phones and the full iPhone line. BYOP SIMs are $10. They work in locked and unlocked AT&T phones and unlocked GSM phones. How to Activate: Cricket phones can be activated online or at a Cricket store or authorized dealer or by calling 1-800-CRICKET from another phone. For unactivated SIMs purchased from Gamestop call 855-619-6021 to activate. For unactivated SIMs purchased from Walmart go to https://www.cricketwireless.com/join for free activation. Not all phones have all the fields listed. There may also be additional fields not listed above. Leave any additional fields at their default values. Account Management: You can check your rate plan, payment amount, expiration date and usage details and make payments and plan changes using the My Account section of the Cricket web site or the My Cricket Android, iPhone or Windows Phone app. on the phone or by calling 611 from your wireless phone, or 1-800-CRICKET (1-800-274-2538) from any phone. Online call records are not available. Payment Options: Cricket offers a number of ways to pay. Online using a debit or credit card (prepaid credit cards and gift cards are not accepted). By calling 611 from your Cricket phone. Theres no charge for making a payment with the automated voice response system. There's a $5 fee for making a payment with customer service representative. Auto Pay: Set up Auto Pay using the My Account section of the Cricket site or the My Cricket Android, iPhone or Windows Phone app. Basic, Smart and Pro plan users get a $5/month credit for using Auto Pay. To forward all calls to another number: Press *21*, the 10-digit number to which you wish to forward your calls, and # and SEND. For example: *21*1234567890# SEND, forwards your calls to the phone number 123-456-7890. You will receive a confirmation message. Unless you are on an unlimited plan, you will be charged for forwarded calls. To cancel call forwarding: Press #21# SEND. You will receive a confirmation message. To forward unanswered calls only (conditional call forwarding): Press *004* followed by the number you want calls forwarded to and # and SEND (*004*-123-456-7890# SEND) and wait for a confirmation tone or message. Unless you are on an unlimited plan, you will be charged for forwarded calls. To cancel conditional call forwarding: Press #004# SEND and wait for a confirmation tone or message. Call waiting: Call waiting is enabled by default. It lets you place one call on hold while you take another call. When you are on a call and have another incoming call, you will hear a short tone. You'll have approximately 30 seconds to answer before the second caller hears a standard message or is forwarded to voicemail. You will be charged for both calls. To answer Call Waiting: To put the first call on hold, press "SEND." You'll automatically be connected with the second call. To return to the first call, press "SEND" again. To switch between the two calls, press "SEND." 3-Way Calling: Lets you create a conference call between yourself and two other people. You will be charged for both calls if you are not on an unlimited plan. While on the first call, dial the 10-digit number of the second person and press "SEND." The first person is automatically put on hold while the call is made. When the 2nd person answers, press "SEND" to create the conference call. Cricket "Secret" Codes: *#62# - to display your alternate voice mail access number. Phone support: Call 611 or 1-800-CRICKET (1-800-274-2538) Available 7AM to Midnight ET. To bypass the automated menu system and speak with a representative call 855-246-2461 or 866-384-4425. For issues with porting numbers to or from Cricket you can leave a message for the porting department at 866-351-7678. Chat support: Use the "Click to Chat" link on the Cricket site's Contact Us page. Cricket Pros: competitive pricing, no taxes, strong retail presence, BYOD, Call waiting, call forwarding and 3-way calling supported. Cricket Cons: Late fees, "high-speed" data is throttled to 8 Mbps for LTE data and 4 Mbps for HSPA+, $10 hotspot fee, hotspot does not work with all devices, hotspot on avaialble on $50 plan, international add-ons only available on $50 amd hogher plans. Updated 26-Apr-2018: Updated subscriber count. Cricekt Wireless is one of the vey few wireless companies that is authorized by the California Public Utilities Commission (C.P.U.C.) to offer the California Lifleline discount program under the Moore Universal Lifeline Telephone Service Act. The other companies that are authorized to offer Wireless Lifeline discounts in California are: Telscape Communications (a Sprint MVNO), Nexus Communications/Reach Out Wireless (a Verizon MVNO) and Assurance Wireless, operated by Virgin Mobile underneath Sprint's umbrella. In California, AT&T has agreed with the C.P.U.C. as a condition for approval of the acquisition of Leap Wireless and it's Cricket Wireless subsidiary, to continue to offer the California Wireless Lifeline discount, under the Moore Universal Lifeline Telephone Service Act for current and new Cricket Wireless customers. At this time, AT&T has not applied to the CPUC to offer the Lifeline discount for it's mainline AT&T Mobility customers and associated rate plans, nor was this a condition the C.P.U.C. required/mandated in order to acquire Leap Wireless. The monthly Lifeline discount for California customers is $13.50 which is applied toward any Cricket rate plan, including the new $25.00 talk & text (no data) plan. Cricket Wireless will also be required to provide those receiving the California Lifeline discount a compatible device (not necessarily new) at no charge when AT&T begins to convert those Cricket Wireless customers currently using CDMA over to GSM. Cricket Wireless also offers similar, but slightly different Lifleline discounts in some other states. In all states, Cricket has stopped accepting new Lifeline applications. All existing customers that have been approved for Lifeline will retain their Lifeline discount until they disconnect their phone number from Cricket Wireless CDMA service or until the CDMA network upgrade is complete. New Cricket s competitively-priced 4G rate plans with no annual contract are attractive without the Lifeline discount and may be comparable for some customers to previous CDMA network rate plans, even without the Lifeline discount. The Lifeline program is burdensome to support for the consumer with proof of eligibility and continued annual recertification. The Cricket CDMA service has already been shut down and existing Cricket Lifeline customers in California have been migrated to Cricket GSM. I doubt many people who qualify for free Lifeline service are willing or even able to pay for non-Lifeline service. One of Cricket's PROS is unlimited data (even if throttled): most other providers will just shut off your data. You also listed late fees as one of Cricket's CONS: I see this as a PRO since lots of other MVNOs will just drop your account if you're late in payment--at least with Cricket you can pay a late fee to keep your number. Is there still tethering in the new Cricket, like the old one? The new Cricket's terms of service prohibit tethering and all Cricket and some AT&T branded phones block it. Android tethering apps work as does native Android tethering on unlocked, unbranded phones like Nexus models. I haven't heard of Cricket taking any action against users for tethering. Did you mention the $50 credit for 12 months of timely payments? Con - No online access to call history/call records. for BYOP it says any locked AT&T phone. Does that included Windows phone 8 devices like the Nokia Lumia 920? I ask because there are no windows phones in Cricket's current lineup. Yes AT&T Windows Phones will work. Cricket also sells the Lumia 520 Windows phone. Nokia Lumia 1320 "Phablet" coming to Cricket Wireless this Friday, 06/13 for $229.99 after $50. mail-in rebate Cricket Visa Promo Card. Cricket Wireless is a great deal for those wanting a group plan. $110 per month for five lines! If you need a referral credit text me your name and email address and i'll refer you at 661-270-6870. Cricket Wireless sends the referral email daily at 11am EST. From the profile: "Updated 4-Sept-2014: Group save discount for the fifth line increased from $30 to $40. effective 8/27." So it is even better deal now - $100 per month for five lines! 1. There are 2 international add-ons now. A $5 that gives unlimited landline calls and a $15 with unlimited landline calls and 1,000 minutes to mobile phones. 2. I'm not sure if their sim cards work in locked AT&T phones as their MNC is 150 which is different than the AT&T 410. Cricket SIMs have been confirmed to work in locked AT&T phones. MNC 150 originally belonged to BellSouth Wireless which became part of Cingular and eventually AT&T. AT&T phones accept SIMs from several of the operators that AT&T acquired. Does anyone know if the first non-discounted line on a group save family plan can be the $25 plan? I know the discounted lines must be the $40 or $50 plans. Cricket CS is unreliable. Has anyone received a Cricket rebate since ATT took over? How long did it take? All lines must be on a $40 or higher plan. The $25 plan isn't allowed with group save. Just heard that a friend on Cricket had her service terminated for making conference calls. She didn't know it but using a conference call facility, or for that matter, calling her work voicemail is against the Acceptable Use Policy. AUP. Apparently unlimited voice only means limited to the uses Cricket says. I am concerned that they will terminate me, because I have been on conference calls, and gotten disconnected during the calls multiple times. I did call customer service a couple of times, and they didn't seem to know (nor could the do anything about) the disconnects. This was before she pointed out the AUP to me. Not nice. I just bought three phones and started with Cricket in December. Now I am thinking that wasn't such a good thing. That's odd. Cricket supports 3-way calling. I have seen this language in every unlimited agreement I have read. Calling is supposed to be between 2 people. I suspect Cricket only objects to the use of free conference call services that charge the operators high per minute call termination fees. See this: Ars Technica post for more information. Does anyone know if GameStop is still selling Cricket sim cards for BYOD? It was never all GameStop stores but AFAIK the ones that were selling SIMs still are. According to this article, Cricket has by far the slowest average LTE speed around, much slower than Sprint at only 3 Mbps on average. T-Mobile is the fastest average, at 10 Mbps (50% faster than Verizon and AT&T). T-mobile users spend more of their time connected to LTE than Cricket users: 76% of the time versus 70% for Cricket. Maybe this is how Cricket can offer a lot of mobile data - slow it WAY down and rig the proxy servers to make it hard to connect when you need it. Cricket CS told me that calls can only be between two live persons in continuous dialog. I asked if this meant that 3 way calls are against their AUP. I was told yes, they were. I asked if warnings were given, and was told that service could be disconnected at any time if Cricket had reason to believe that the AUP or T&C were violated. The CS agent also said I might have a problem porting my number out if that were to happen. Cricket Wireless Products and services now available on Amazon.com. New Bring Your Own Device (BYOD) Universal SIM Card Activation Kit for $9.99 on Amazon. Does Cricket support MMS? Voice, text and data seen to work fine but MMS don't go through. Cricket does support MMS. Be sure Cricket data is enabled, available and working. MMS doen't work over WiFi. If you are using a non-Cricket phone: For Android and Windows Phones double check that the data settings match what's listed above. For iOS check for updates and if a carrier settings update is offered install it. Cricket Wireless to start offering the Lumia 640 starting this Friday 05/15. Source: Cricket Wireless Twitter Account. Excellent. Cricket is finally back to 5M, where they were when AT&T announced their intent to purchase in July 2013. However, MetroPCS has grown to 11M subscribers and 11,000 stores (versus 3,000 for Cricket). So Cricket has a very long way to go if they want to catch MetroPCS. Can you please help clarify: I recently ported my number from AT&T to Cricket and immediately started noticing calls that never came through and went straight to voicemail and other network issues. A Cricket rep told me that my area is serviced by AT&T towers only for LTE data but by their own towers for voice and text. Does Cricket operate some of their own towers on the GSM network? Cricket uses the AT&T native network exclusively. There's no roaming on Cricket. If you were previously on AT&T postpaid you could make and receive calls while roaming. Dennis, what have you heard about the LTE speeds on Cricket? I know they throttle at 8 mbps, but I have read in articles such as the one below that their average speeds tend to be a lot lower, closer to 3 mbps. Is that the impression you get as well? Cricket always seemed attractive to me since it's well-priced and on AT&T's network, but 3 mbps might be lower than what I would like. I've seen 9mbps on Cricket. Cricket $0.99 SIM Card Offer now extended through July 17th. Cricket Wireless Mobile Hotspot added for $10 amonth to $50 & $60 Plans. Is Cricket allowed to charge extra for tethering under the new net neutrality rules? I suspect Cricket will lose a lot of customers to Boost Mobile courting Cricket and MetroPCS customers who change before July 20th. Boost is offering to cut their bills in half like Sprint is doing for one full year, then put them on a comparable plan that their former carrier had. Big money saver, and faster speed after your mg or gigs run out. Cricket is unbearably slow after you run out of high speed. Almost useless. Stephens said 90 percent of Cricket customers are now on AT&T's GSM-based network and that the shutdown of the legacy Cricket CDMA network is on track for September. Almost all Cricket customers choose smartphones and two-thirds are choosing the carrier's "highest-value" plans with the highest average revenue per user. Stephens said those Cricket customers' ARPU is "similar or sometimes better than other carriers' postpaid ARPU." Starting Sunday (August 2nd) Cricket Wireless customers will be able to talk and text freely to and from Mexico and, starting later in the month, Canada, the carrier said in a Friday morning press release. Credit Source: AT&T press release. Cricket Wireless has added 9 more countries from the Caribbean, Central, South America to its' international calling. Crickets' CDMA legacy network shuts down tomorrow Tuesday 09-15. Cricket Wireless now available in 1600 Target Stores. Cricket Wireless - New rewards program called Cricket Rewards. It's a shame Kyocera phones tend to be garbage when it comes to call quality. Smart Sanic is actually pretty stupid. 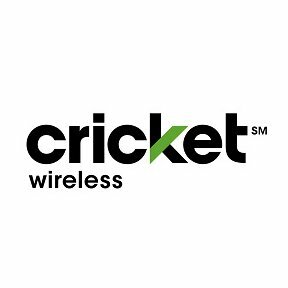 Cricket Wireless now available at over 1000 BestBuy Stores nationwide. Cricket Wireless is expanding its national retail presence by adding more than 200 Shopko locations across the Upper Midwest region. Cricket Wireless now available at over 400 Sam's Club nationwide. Dennis, typo in your plans table for the starter plan. The "1" looks like a footnote in the monthly price column, I think you meant it to be next to the "GB" in the high speed data column. I've corrected the typos, thanks for letting me know. HTC Desire 555 coming exclusively to Cricket Wireless. Any extra 'clues' on tethering/hotspot w cricket? What are the 'workarounds'? I have an unlocked moto g4 play im thinking might work, but not sure i want to risk trying it and not working. Can anyone confirm if Cricket Rewards program is ending? Cricket Wireless announced today that it has lifted data usage restrictions while in Mexico.Customers on plans starting at $50 can now use their phone for talk, text, and data in Mexico as long as thet want with no extra cost.